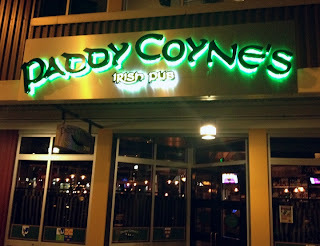 The fourth local Irish pub of the name from Galway native Pat Coyne, this one takes over a rather odd location on Pier 70 with El Gaucho's Aqua. It is well north of most the tourists and foot traffic of the Elliot Bay waterfront, so with the exception of a few patrons of the small marina nearby, customers presumably have a clear plan to seek out the place. 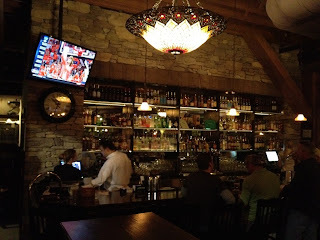 And it's in a larger structure that dates back to 1902, but which has been remodeled into a bright, modern, impersonal warehouse sort of design that is hardly conducive to the feel of a small town Irish pub. But indeed, placing his bars in rather cold condo or mall settings seems to be part of the Paddy's strategy. 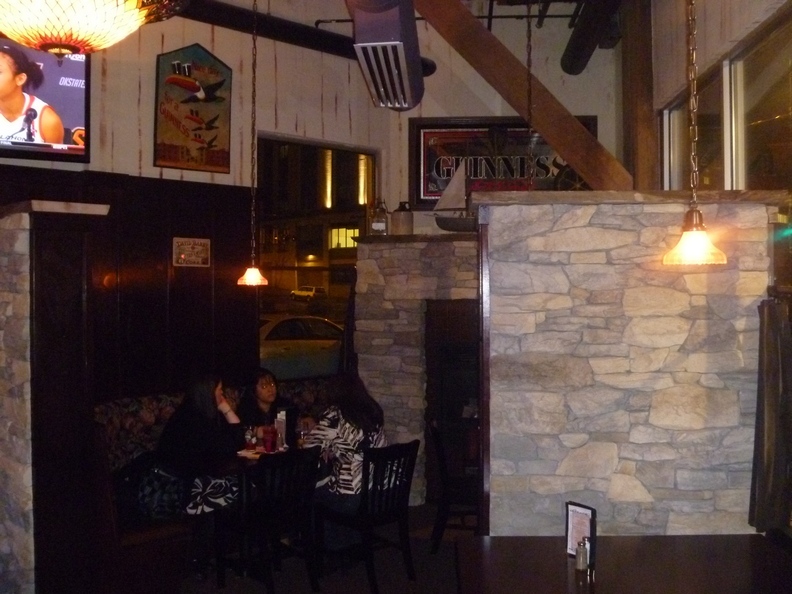 The Paddy's waterfront interior is a welcoming combination of wood and rock, with a fireplace and pleasant but unspectacular view of the marina. The cocktails and food are both pretty standard pub fare, with mostly American bar food and the standard Irish traditional dishes. The Paddy's at South Lake Union (the other locations are in Tacoma and downtown Bellevue) is one of the warmest feeling Irish pubs in the Seattle area, and whether this one thrives -- and whether it becomes a place I would choose repeatedly -- will depend on what sort of regulars it can draw and the vibe that creates for the place.